A powerful new supplement that works to rid the body of toxins through detoxification, while simultaneously preventing new toxins from entering. Toxins affect everyone, whether environmental, internal, or emotional and begin to affect key organs and immune system function. 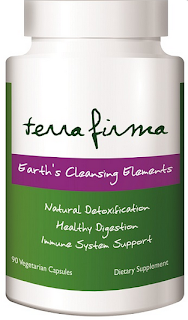 When using Terra Firma you benefit from 6 powerful earth cleansing elements that protect and support your inner-eco system through regenerating the ecology of your gut.